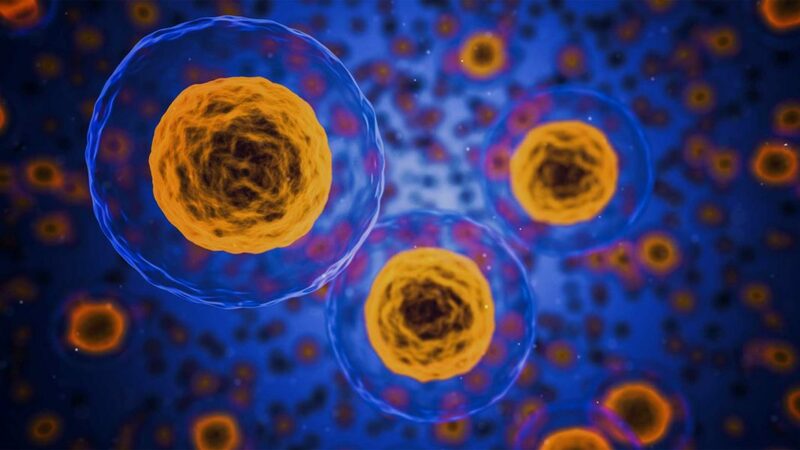 CAR-T is the super-soldier serum of cell therapy: you pluck out an immune cell soldier, inject it with a dose of new genes, and send the enhanced cell back into the host body—bam! Suddenly the host has a slew of Captain America-esque superpowered cells ready to tackle cancer and all sorts of cellular enemies. Without doubt, CAR-T is set to overhaul cancer therapy. Last year several variants of the immunocellular technique earned the FDA’s nod of approval for blood cancers; with big pharma pouring in billions to develop the technology, more are certainly to come. Yet a small group of ingenious scientists are already thinking ahead: can CAR-T do more? To Dr. Michael Milone at the University of Pennsylvania, the answer is a clear yes: there’s the potential to “open up the application of this anti-cancer technology to the treatment of a much wider range of diseases, including autoimmunity and transplant rejection,” he said. It’s likely to trigger “a next wave in cellular immunotherapy,” said Dr. Everett Meyer at Stanford Medical Center, who uses the technology to help islet transplants. Islets are clusters of insulin-producing cells that are destroyed by immune cells in Type I diabetes. With CAR-T ready for autoimmune trials by 2019, here’s what’s in the works. In cancer therapies, a type of immune cell called killer T cells are extracted through a process similar to dialysis and given genes that help them recognize various types of blood cancers. The overwhelming culprit of these cancers? B cells. Normally these cells are a critical component of the immune system: they make and deploy antibodies, which hunt down invasive bacteria and nip them in the bud. But when B cells go rogue, they trigger multiple types of deadly blood cancers. What’s more, B cells can sometimes pump out antibodies that mistake healthy tissue for infections. In autoimmune diseases, antibodies tag onto normal cells, mislabeling them as dangerous, which in turn provokes a T cell onslaught. These autoimmune attacks lead to Type I diabetes, in which insulin-producing cells are slaughtered by the body’s own immune cells, and lupus, where tissues from the lung, heart, brain, and kidneys are caught in friendly fire. Currently there are no cures for autoimmune disorders. For severe cases, immunosuppressant drugs can help, but they increase the chances of infections and cancer. Back in 2016, Milone’s team had a eureka moment: in traditional CAR-T therapy, T cells are often engineered to target cancerous B cells. What if the same super-soldiers can hunt down autoimmune-causing B cells? “We thought we could adapt this technology that’s really good at killing all B cells in the body to target specifically the B cells that make antibodies that cause autoimmune disease,” Milone said at the time. “Targeting just the cells that cause autoimmunity has been the ultimate goal for therapy in this field,” added study author Dr. Aimee Payne. In a proof-of-concept, the team took on pemphigus vulgaris (PV), an autoimmune condition that causes the skin to gradually peel off and is almost always fatal. The team first figured out which B cells were producing the disease-causing antibodies. Like most cell types, B cells have specific protein “barcodes” on their surface—the PV-causing B cell subtype has a particular protein dubbed Dsg3 (yeah, biologists aren’t the best at giving catchy names to proteins). Bingo, target acquired. Next, the team constructed a protein “claw” that grabs onto Dsg3. This claw is a “chimeric autoantibody receptor”—or the “CAR” in CAR-T. Armed with the claw, the genetically-enhanced T cells were then infused back into the bodies of mice. The result was shockingly positive. “We were able to show that the treatment killed all the Dsg3-specific B cells, a proof-of-concept that this approach works,” without harming other B cells, Payne said. The best part about the treatment? It’s plug-and-play: change the CAR, and it’s possible to target any type of B cell—and potentially treat any autoimmune disorder caused by antibodies gone wild. So far, the T immune cells used in CAR-T have all been killer T cells. Yet these killers are only a fraction of the immune cell zoo. The new contender? T regulatory cells, or Tregs. Tregs are the killjoys of the immune system. They shut the party down before it gets too rowdy, thus inhibiting immune attacks from getting out of control. Autoimmune diseases often are caused or exacerbated by ineffective Tregs. The reason is unclear: sometimes they have a genetic deficit, or they might resist activation because of something in their environment. Regardless, Tregs fail in autoimmune disorders—which makes them promising candidates for CAR-T.
At the forerunner of Treg enhancement is Txcell, a startup based in Valbonne, France. Two years ago, the company began experimenting with giving Tregs their own protein claws against inflammation. It’s a big step away from traditional CAR-T. Rather than targeting a specific barcode on a cell, TxCell engineers Tregs that home to a particular type of tissue ravaged by autoimmune attacks. Far along the TxCell pipeline is an engineered Treg that helps treat Type I diabetes, in which immune cells attack insulin-releasing cells in the pancreas. Without insulin, the body struggles to maintain normal blood sugar levels, leading to diabetes. Dr. Megan Levings, a researcher at the University of British Columbia in Vancouver, collaborates with TxCell on the project. In 2016, Levings and team published a paper showing that Tregs enhanced with CAR “protein claws” could help dampen the immune response to organ transplants. “This work provides what we believe is the first proof-of-concept that CAR Tregs have the potential to be used therapeutically,” Levings’ team wrote at the time. Just last year, Meyers backed up these data with a new study showing that engineered Tregs allow better islet transplantation in mice. We clearly show that CAR-T with Tregs is a “powerful new platform that’s very flexible for many immune diseases,” said Meyers. TxCell is aiming to launch the first CAR-T trial for boosting organ transplants by next year, which will be the first time CAR-Tregs are tested in humans. Although it may not be entirely smooth sailing, previous CAR-T trials for cancer could help pave the way to approval. CAR-T for autoimmune is still at an early stage. And without long-term data, it’s hard to say whether suppressing the suppressors could lead to side effects like infections and cancer. But for those suffering from autoimmune disorders and organ rejection, CAR-Tregs represents an entirely new possibility that could revolutionize treatment as CAR-T is doing for cancer. That’s definitely something to be excited about.